WATCH THE EDITED VIDEOS HERE! BOSKO & HONEY'S UKULELE SAFARI OZ! A ukulele festival on Wheels! 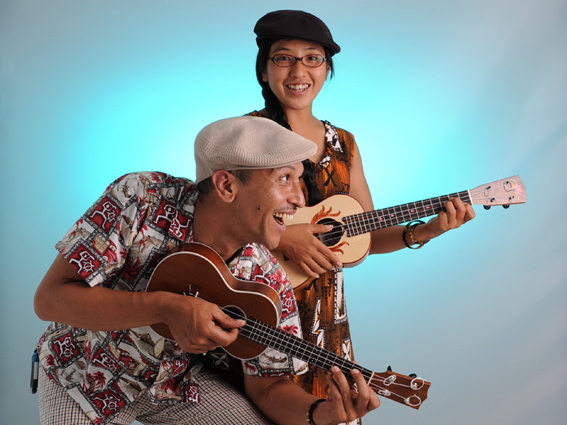 "Refugees from the metropolei of Melbourne and Tokyo, Bosko & Honey found love, marriage and peace in Tropical North Queensland� but when they discovered the diminutive ukulele their lives changed in unexpected ways. 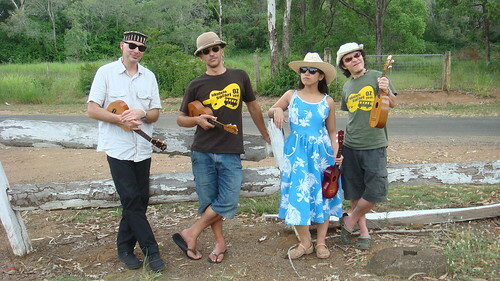 "They connected with ukulele enthusiasts the world over via the internet, and managed to travel the globe for 11 months - 'ukulele couch-surfing' their way through 14 countries and 3 continents - for a mad yet charming online video project called Bosko & Honey�s Ukulele Safari 2008. Ukulele Lunchbox, Mito, Japan. Image: Ady. "In 2010 they intend to repay a fraction of the kindness they were shown by flying two of their overseas hosts to Australia for a three-month ukulele road-trip. "Gensblue from Japan and Yalego from France will join Bosko & Honey on an expedition of exchange and goodwill... performing and documenting as they go. "Bosko & Honey haven�t told anyone they can�t drive, yet they will attempt to take this multi-lingual ukulele circus (including a camera-person and the odd ukulele hitch-hiker) on an unlikely 20,000km odyssey around Australia� by motorhome. 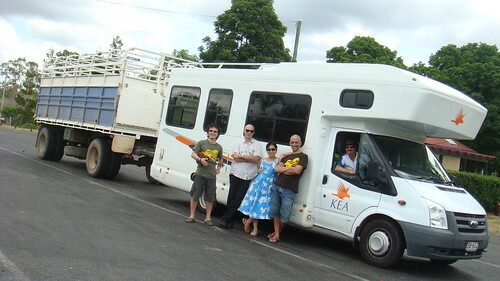 "They will travel from Cairns to their home in Kuranda (30 kilometres as the crow flies), by taking the very long road indeed � and visiting ukulele folk, ukulele clubs, schools and communities right around the country! 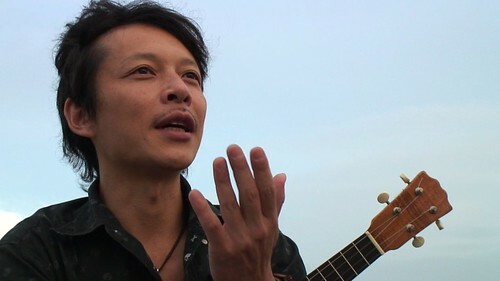 "Join B&H and the Safari Crew as they discover and connect, attempting to reach beyond difference: to hear the music and the stories, the depth of which (the fun, the beauty...) lies barely concealed within the humble ukulele... and ourselves." 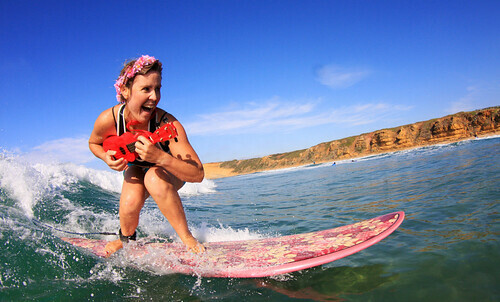 If you want to be part of Ukulele Safari Oz, please contact us! 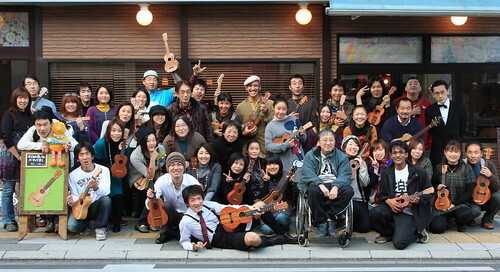 � To promote the ukulele and help develop awareness of its accessibility. 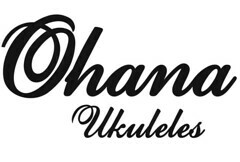 � To facilitate community participation and communication between existing ukulele networks. � To bring world-class ukulele performers from other countries to every Australian capital city as well as regional towns. � To promote interaction among people from diverse geographic, economic and cultural backgrounds within the context of sharing music. � To document the journey for global broadcast on the internet and other media. 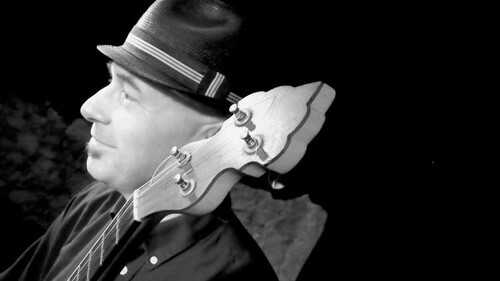 See who's involved in Ukulele Safari Australia! More special guests who'll be joining us for segments of the Safari!